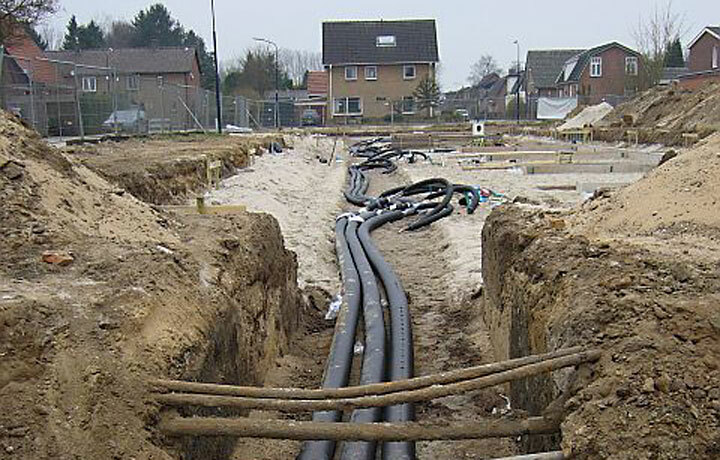 Case study - Flexalen pre-insulated Polybutene-1 pipes used in a district energy network in Waalwijk, The Netherlands. 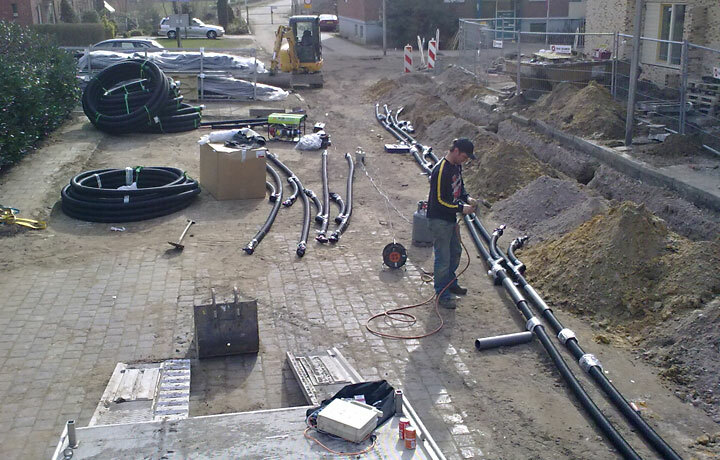 Flexalen pre-insulated Polybutene-1 pipes with Flexalinks are being used effectively in the rapid installation process for a new district energy network designed to ultimately deliver a 50% reduction in CO2 emissions to the Hengelo municipality in Waalwijk, The Netherlands. This important initiative captures and utilises the residual heat output from local industry sources. Warmtenet Hengelo is responsible for construction of this district energy network. Is it possible to open an entire city street, dig trenches, lay pipes, make house connections to the district energy network and then close the street - in ONE day? The answer for this project in Hengelo, NL was "yes". With good preparation and using the Flexalen pre-insulated Polybutene-1 pipes from Thermaflex, the installer SOP proved that this rapid turnaround was in fact possible. They set this record in the construction of the district energy (heating) network for Warmtenet Hengelo. The municipality of Hengelo has made a strong investment in sustainability and has several projects in progress to achieve their objective of 50% reduction in CO2 emissions. Hengelo has taken the important initiative to capture and utilise the residual heat output from local industry sources. The corporate entity, Warmtenet Hengelo is responsible for the construction of this new district energy network. In the coming years around 5,000 homes will be constructed in several new neighborhoods and will be heated via this district energy network. Since its inception in 2010 there have already been 500 homes connected. Peter Mooij, project manager at Warmtenet Hengelo commented: "Initially we chose metal pipes, but we turned back on this decision quickly. It became rapidly apparent that the pre-insulated Flexalen PB-1 pipe system from Thermaflex offered the better solution. It is an innovative and sustainable pipe system with a high insulation value." "Also, the water resistance of the foam is an advantage, since other alternatives absorb water over time, and then as a result lose much of their insulation benefit. In addition, Flexalen is much faster to install, which makes the pipe system better to align with planning that sometimes has a very tight time schedule." The Klimopstraat in Hengelo had a challenging allotted time frame regarding the connection of 15 houses. On Monday, the road workers were planned to arrive, whereas on the Friday before there was still work in progress which made installation work in the ground impossible. Installer SOP was asked whether the heat pipes of Flexalen could be applied over the weekend. Michael de Vries, managing director of SOP responded: "Based on the drawings, Thermaflex has largely prefabricated the pipes for the network, including the branches with Flexalink. These are T-joints in the pipes that are fitted onto the pipe in the factory, pressure tested and checked for leaks." "This saves a lot of installation time in hard to reach areas like crawl spaces. We had already experienced that Flexalen with Flexalinks was up to four times faster to install, but the Klimopstraat certainly set a new record. On Saturday morning the trenches were dug, the pre-insulated pipes were installed and the house connections were welded. In the afternoon the street was closed up again." SOP, located in Zaandam, NL is a specialist in underground installation work. 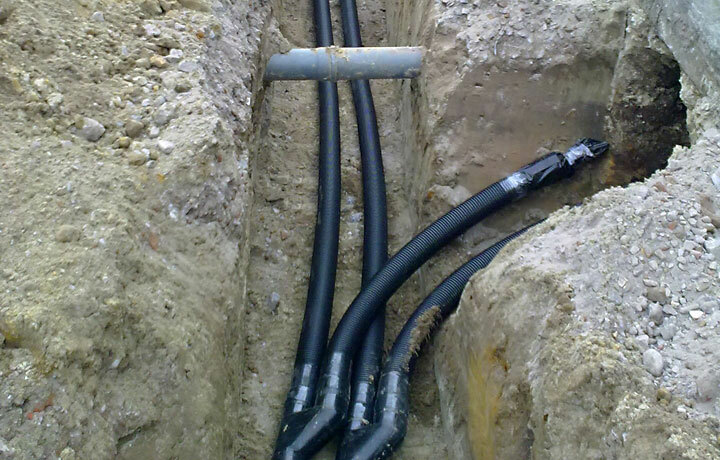 Four years ago, SOP had their first experience with the Flexalen pre-insulated pipes from Thermaflex. Mr. De Vries said: "It was a complex project in Amstelveen. The situation called for creative solutions and comprehensive support from our suppliers." "Thermaflex turned out to be the right partner and made the necessary adjustments in accordance with our requirements. Since then, we continue to be excited about Flexalen and have had gained considerable positive experiences in other projects."